Click the image above to start the recording. 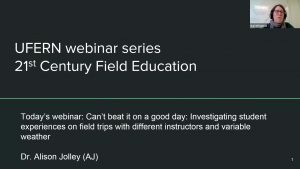 Episode 3 of our speaker series will feature Dr. Alison Jolley (AJ), Science Teaching and Learning Fellow/Lecturer at the University of British Columbia. BigIdeaZoo will be joining the December webinar. Lori Rock, BigIdeaZoo founder and visual map artist who collaborates with AJ, will be joining to create a real-time visualization of content discussed in the webinar in pictures. 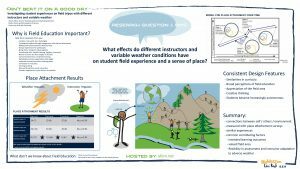 The visual map will be made available after the session. 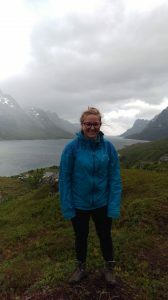 Dr. Alison Jolley works for the University of British Columbia as a Science Teaching and Learning Fellow/Lecturer within the Department of Earth, Ocean and Atmospheric Sciences. Much of her work involves supporting faculty in the implementation and evaluation of student-centered and evidence-based teaching practices in lecture, lab and field settings. 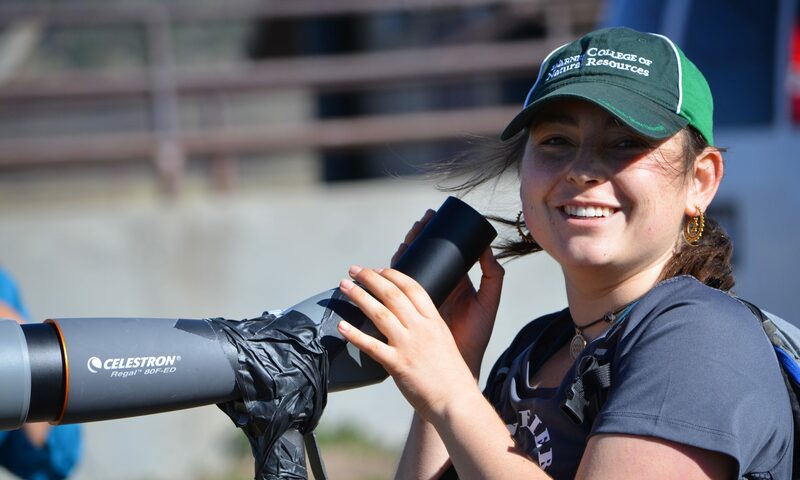 AJ’s research interests are in understanding the affective side of student experiences on undergraduate geology field trips, particularly with respect to field places and landscapes, and how these experiences may be replicated and optimized in virtual environments. 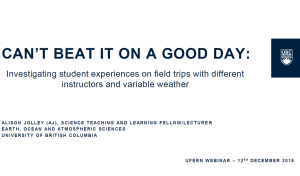 Dr. Jolley will present “Can’t beat it on a good day: Investigating student experiences on field trips with different instructors and variable weather”.